You can now label your appointments for quick reference later on. There are preset labels available, such as Pending, Confirmed, Done, No-show, Paid and Running Late. You always have the option to create a custom label to meet your business requirements. In the bottom navigation, tap the Calendar button if you're not already on your calendar screen. Next tab the appointment that you wish to add a label to. This will bring up the Appointment Details window. 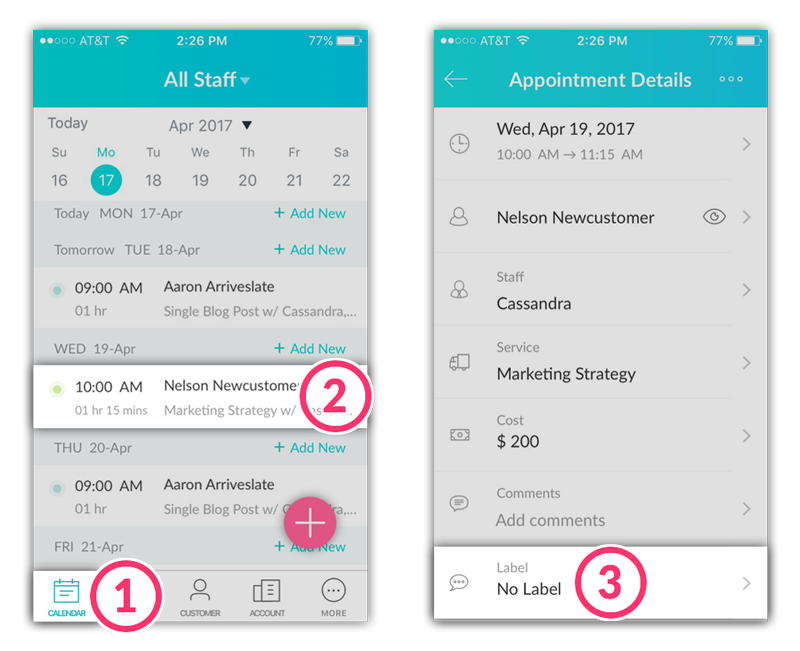 In the Appointment Details window, scroll all the way to the bottom and tap Label. Tap to select a label. You'll be returned to the Appointment Details window. Tap Save in the top right corner to save your changes. Navigate to the appointment in your Setmore calendar. Tap on the appointment to open the details menu, then scroll down and tap Label. Tap No Label from the list of options and then tap Save in the top right corner to save your changes.